Etched ominously in stone and steeped in mystery since medieval times, gargoyles are said to guard against harmful spirits. 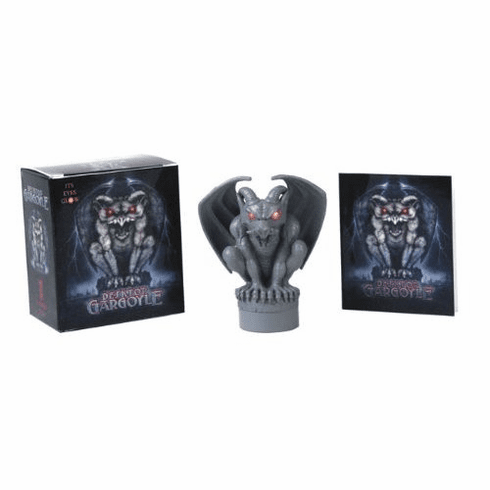 Now you can protect yourself with a Desktop Gargoyle, which features light-up eyes that are certain to repel negative energy in the workplace! Kit also includes a 32-page book of gargoyle lore.